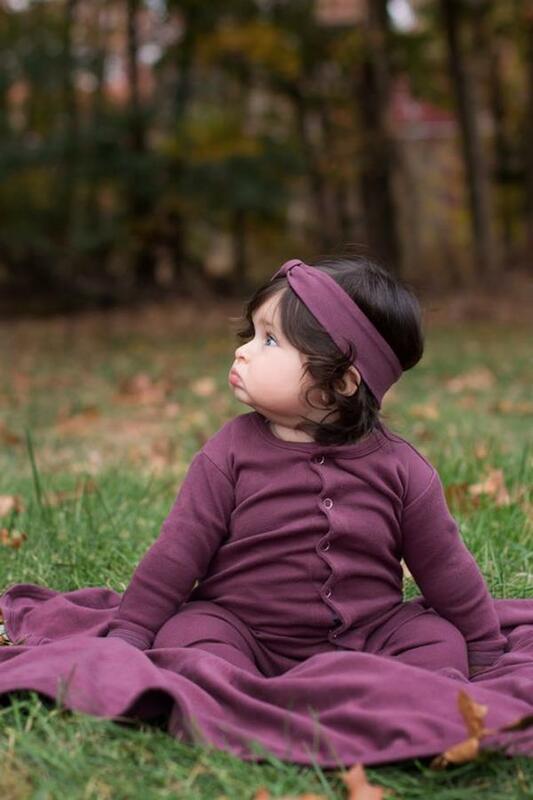 This solid organic footed overall is perfect for that new baby. Features snaps from neck down one leg for easy diaper changes. The fold over gl'oved sleeves come on sizes Preemie/NB-3/6m. All sizes feature rubber dots on the soles of the feet to keep them from slipping. Made of super soft 100% organic cotton by L'ovedbaby. *Headband and blanket sold separately.